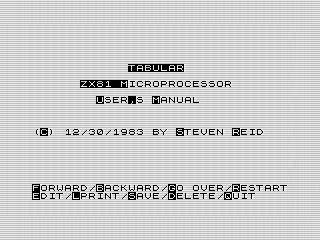 Steven’s ZX81 Computer, dedicated to Sinclair Research's ZX81, Timex Sinclair 1000 and other retro computing topics. 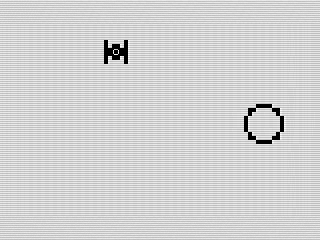 Back in 1983, Star Wars imagery flooded my life. With the release of Return of the Jedi that year, it only fueled the inspiration of my young teenage self . So, it shouldnt come as a surprise that I would create games with that look and feel. Star Fight, this months program, is one such game. 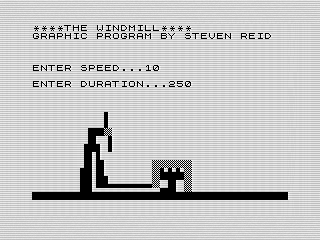 To date, most of my programs have been games and animations. 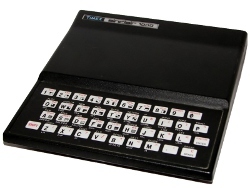 It may come as a surprise that I also wrote a word processing program. Using a custom printer command, I designed a font that would allow you to use lowercase letters. Lets explore Septembers program of the month to see how that worked. 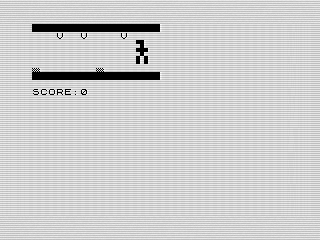 Tarantula, Augusts program of the month, was part of a pair of games that made me think I was a game developer. At the age of fourteen, I didnt let problems like the lack of a distribution channel tarnish my dreams. Although I didnt make it into gaming, its still fun to look back on what could have been.